2015 I WRAPS I 53 photo down to around a 2 MB file (see Figure 1). The vector artwork can be any size and still print clean and any raster artwork you use can be imported at a higher resolution. The size of the photo of the vehicle doesn't need to be large since it is not actually part of the final artwork. Switching over to FlexiSign Pro we then import the straightened and cropped photos. 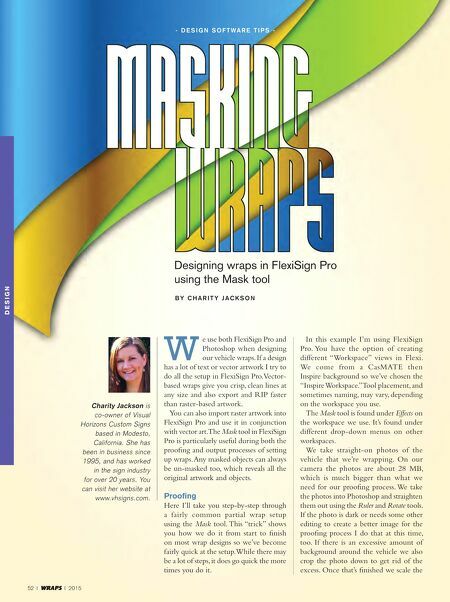 Now we want to properly scale the photos so that as we're proofing the wrap we're working on at actual size. When we take photos of the vehicle we also take really good measurements. Using the measurements as a reference we draw a box on a clearly defined object on the photo. We then go to Edit > Transform. There are two options here. If you want to scale everything in the opened window, change the size of the box you drew to the size it needs to be in actual size. You'll see a percentage come up. This is the overall percent you would need to adjust the photo to be actual size. Click Apply Scale to All if you want to change everything (see Figure 2). 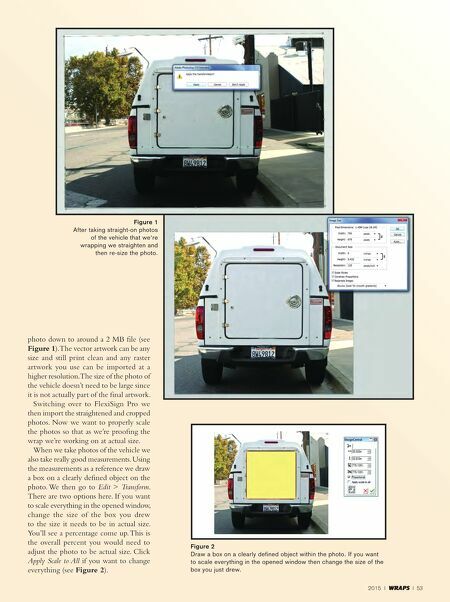 Figure 1 After taking straight-on photos of the vehicle that we're wrapping we straighten and then re-size the photo. Figure 2 Draw a box on a clearly defined object within the photo. If you want to scale everything in the opened window then change the size of the box you just drew.